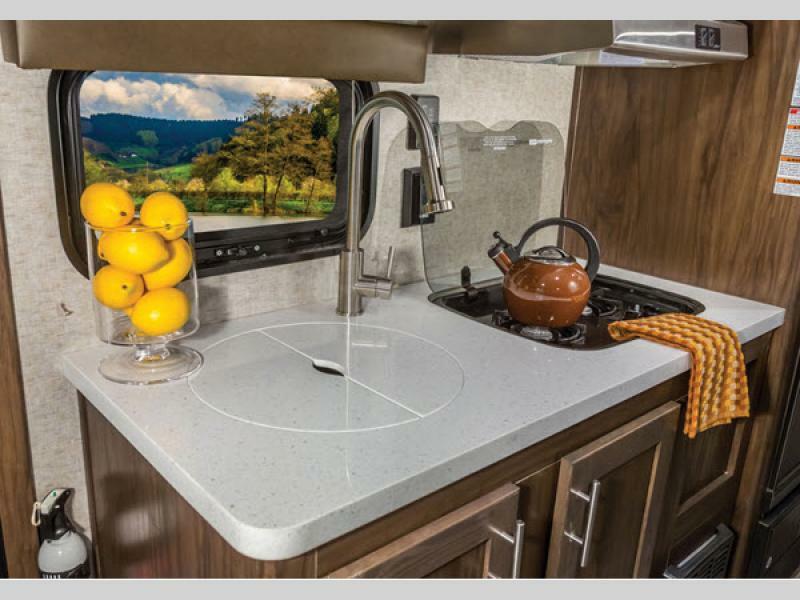 If you’re looking for a high quality travel trailer that’s lightweight, affordably priced, and full of features, look no further than the Cherokee Wolf Pup. These RVs were made for families and designed to last for years of family fun. A comfortable living room is an important part of enjoying your RV experience. 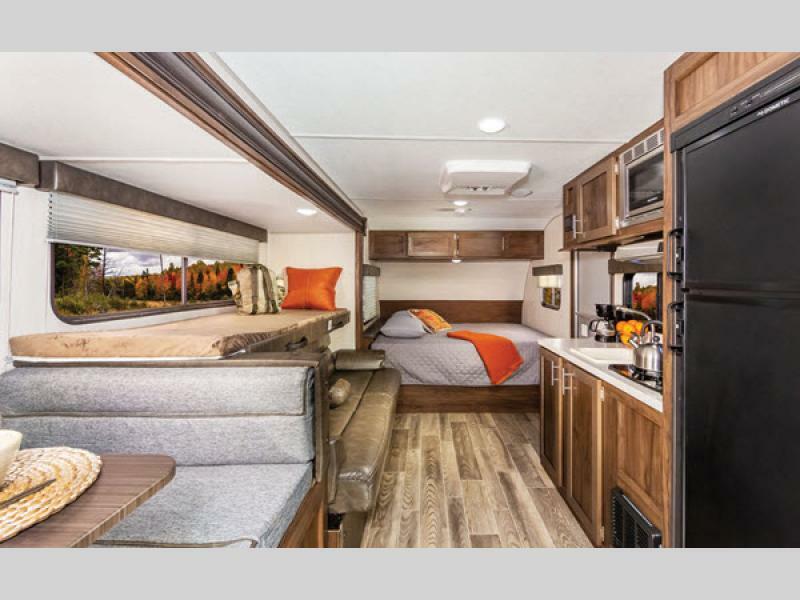 You’ll love that the Wolf Pup is a compact, lightweight RV that still comes with a spacious living area. From the dinette where you can enjoy a home cooked meal to the great entertainment area, there’s plenty of space for everyone to feel right at home. You will absolutely delight in every minute spent in this space making memories for your family. Wolf Pup floorplans feature ample sleeping space for mom and dad and the kids. 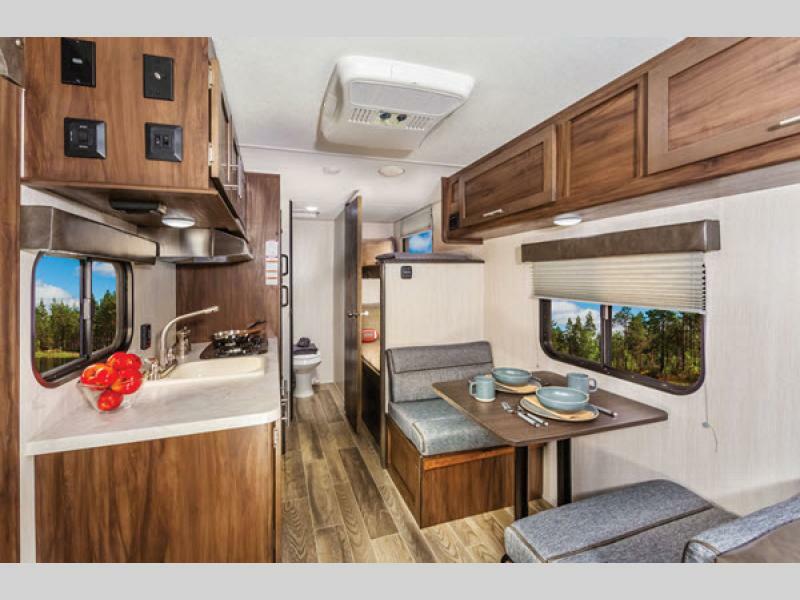 Depending on the floorplan you purchase, you’ll appreciate how some feature a large bed at the front of the RV and others boast a bunk area for the kids. Whatever your needs, Wolf Pup travel trailers are available to meet and exceed them. You’ll feel right at home and appreciate having everything you need to rest and relax right at your fingertips. This delightful kitchen was designed to provide you with everything you need to create amazing meals for the entire family. You’ll appreciate the high quality appliances, ample storage for all of your kitchen gear, and beautiful decor. Whether you’re reheating leftovers of whipping up a meal made with local farmer’s market ingredients, you will love everything about this kitchen. If you’re interested in learning more about our selection of Cherokee Wolf Pup travel trailers for sale, contact us. We can answer any questions you have and make sure you have the information needed to make the best decision for your needs. We can also assist with RV financing.